Did you know that according to a recent survey, 55% of small business employees work from a home office? For many small companies, brick and mortar offices are a thing of the past since technology has paved the way for employees to work from a home office. Also, due to job uncertainty, downsizing and layoffs, Americans are launching part-time and full-time businesses on a shoestring from their basements, garages, spare bedrooms and kitchen tables. In fact, the number of U.S. households that operate a full or part-time home-based business exceeds 12 percent according to the Small Business Administration and Home Business Magazine reports that 50% of households in the United States are involved in a home-based business. TLC Network’s Jodie Watson knows the essentials for how to succeed in a work-at-home environment. Not only does she regularly help entrepreneurs organize their home businesses on Real Simple, Real Life, but she has her own home based business. Jodie has a checklist for success. #1: Start with Technology. Technology is the lifeline in any business and you want to evaluate what you already have and what you need. The essentials are a phone, computer and internet access. First, loose the landline since cell phones are mini-offices that handle everything from basic phone calls to emails. If you don’t already have a computer, a laptop will save space and energy. And bundle your wireless services like internet and cell phone together to save. Another bundled value is a printer that does five jobs in one. The Epson Work Force Pro is not only the World’s Fastest automatic two-sided printer that saves you 50% on paper, but it copies, prints, faxes and scans. Also, it has extra large ink cartridges so you won’t run out of ink in the middle of a work day and with the Epson connect feature, you can print email, photos, and documents directly to a printer from anywhere in the world. #2: Treat Your Business Like a Business. First, you need the right mindset and that’s to treat your business like a business starting with keeping regular business hours so clients can rely on you. One of the biggest challenges for a home office is getting your work station off the dining room table since you can increase your productivity with a defined work space. You know your local office supply store has items that will help you set up a nice workspace and keep you organized like the ones here from Office Depot. Not only does it have a large work space, but also a lot of storage to keep you organized. Regardless of where you work, most people spend eight hours of their day sitting at a desk so look for a chair that has a lumbar feature to help support your lower back. The Thomasville Style@Work collection is accredited by the American Chiropractic Association and is a luxury office chair, but at an affordable price point. There are four chairs in the collection that easy to assemble including the Tavelle. You’ll maximize your productivity with an organized work space. #3: Use Common Sense When It Comes to Managing Business Expenses. Go green and you will help the environment while cutting costs. Look into smaller computers (i.e. laptops), electrical outlets, and phone chargers that save energy. Don’t forget to turn off lights and unplug chargers when you are not using them, and recycle paper. Join reward programs and shop the sales at office supply stores like Office Depot that were designed with the home business owner in mind. You can save a lot money when setting up your home office if you do a little research. Don’t think you have to hire a staff in order to run your business effectively. Outsource what you need to as you need it. You can drive growth entirely through contract labor if it makes sense. Invest for growth. A home based business reduces overhead, but you still need to put money into the business to keep it thriving. And that’s true no matter where your business is based. 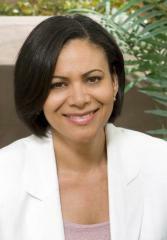 Jodie Watson is an organizational expert and the Founder and President of Supreme Organization. 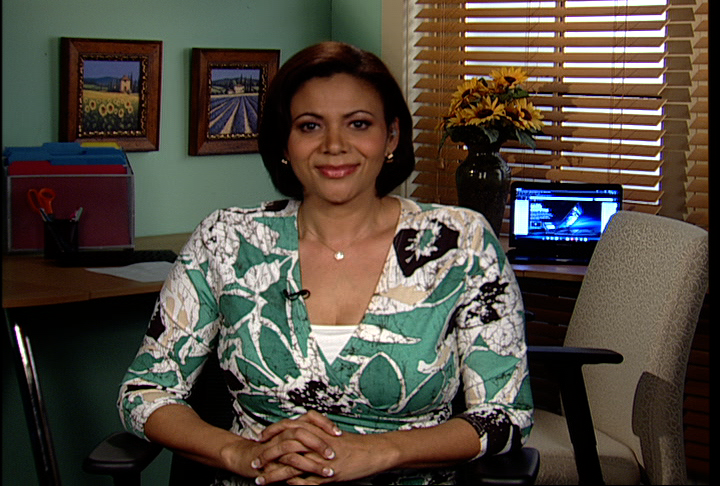 Jodie can been seen regularly on Real Simple, Real Life, a lifestyle make-over show on the TLC Network where she helps women identify their day-to-day organizational challenges and offers realistic solutions that save them time, clear the chaos, and make their lives less stressful and more manageable. After working in the entertainment industry for many years including Joan & Melissa River’s Rugby Productions, she launched Supreme Organization in 2005. Jodie is a member of the National Association of Organizers (NAPO), Vice President of the Los Angeles Chapter of NAPO, and has a roster of celebrity clients. Watch Video. As an answer to layoffs and downsizing during the Great Recession, Americans have started home based businesses in record numbers. With high levels of unemployment and job uncertainty, 84% of employees plan to look for a new position in 2011 (Money Magazine) or are looking into a “Plan B.” The extremely low start-up costs, flexible hours, and the Internet are fueling this growth of the home business segment. TLC Network’s Jodie Watson knows this first hand as she is not only seen regularly helping entrepreneurs organize their home businesses on Real Simple, Real Life, but she has her own home based business. Jodie is on a mission to share her secrets on how to avoid making the top five home business mistakes. Mistake #1: Opening a Business in an Industry that is Not Your Skill Set. The reason that so many businesses fail is because people open businesses in an industry they know nothing about. The secret to success is to start a business in the area you’ve been trained or have a skill set. Like for me, I have a background in helping people get organized, so that’s why it works. Mistake #2: Not Organizing Your Home Work Space for Maximum Productivity. When you work at home, you need an organized work space just like you do if you’re an employee. You can find great organizing tools at an office supply store and getting organized is as important as staying organized. Regardless of where you work, one the things most people overlook when setting up a home office is a chair when you spend eight hours of their day sitting at a desk. Office Depot has a new line of HONoffice chairs where you can choose between 32 designs and patterns for your needs and style. There are two chair models, the Volt and the Ignition, that have an design ideal for sitting five or more hours a day. 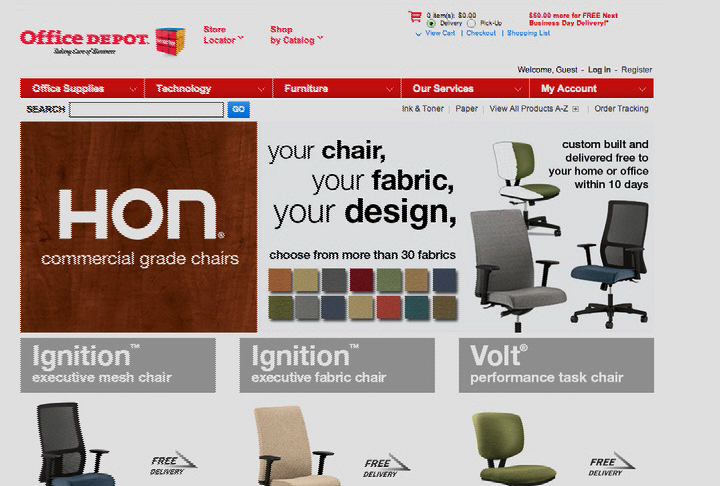 You can choose your chair at www.officedepot.com/customdesign. Mistake #3: Overspending on Technology. You really need to do your research when it comes to technology. It’s not just about price, but added value as well. You can usually save hundreds of dollars a year if you bundle your internet, mobile phone service, and other services together at a discount package price. Also, look for a smartphone that gives you the freedom to make your home office mobile when you’re out running errands, at meetings or at dinner. In fact, how about using a smartphone that can transform into your laptop, home PC, office PC and home entertainment center all in one.Together with an array of web applications such as Microsoft Office Live, you can now embrace the future of mobile computing. Home business owners can also purchase Motorola’s ATRIX innovative lapdock accessories to tap into truly new mobile computing environment. 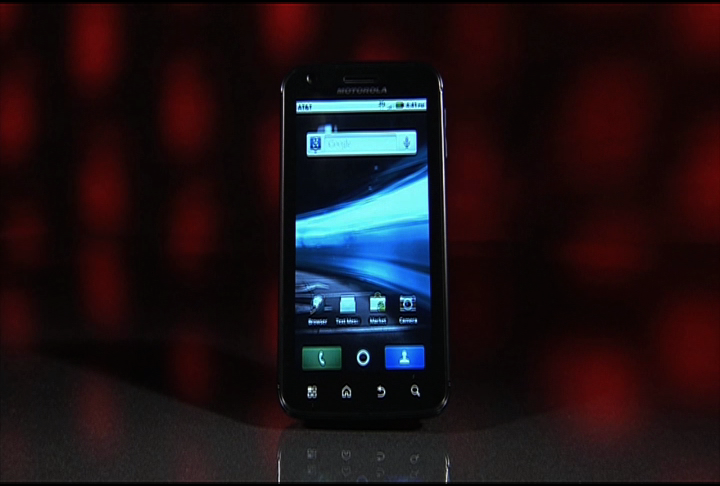 Motorola’s ATRIX 4G is a phone that acts like a computer, delivers both the power and performance of mobile computing, all while fitting comfortably in your pocket. It’s literally like putting a laptop in your pocket and you can get more info at att.com/ATRIX4G. Now, you can get stressed out working from home, but did you know that technology can help reduce stress? 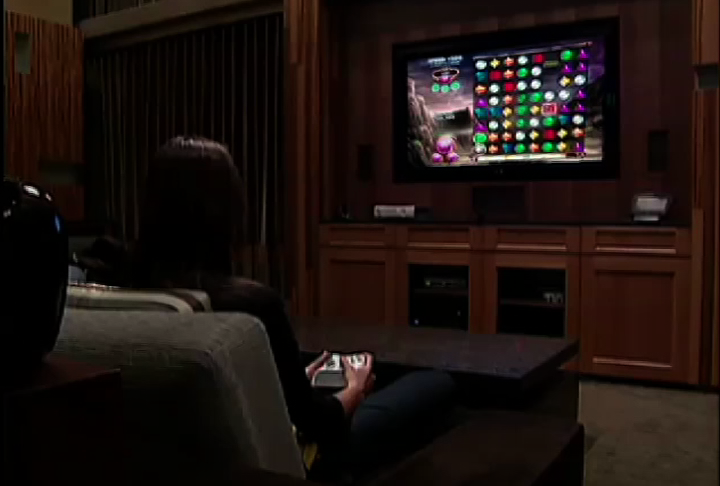 A recent clinical study found that playing Bejeweled 2 reduced stress 47% on adults tested. The sequel Bejeweled 3 has launched with an expanded Zen mode for stress reduction where you can customize ambient sounds, mantras and even breath modulation settings. You can get it in stores or at PopCap.com. Mistake #4: Not Setting a Schedule and Treating Your Home Based Business Like a Job. You One of the biggest dilemmas that people who run a home-based business face is keeping their home life and their work life separate. First, keep your home-based office in a place that is as cut off from the rest of your home as possible. Second, when you work from home, you are still working; so you must treat it like a job in every way. Have a schedule, office hours, self-discipline but, if you lack these things, you are setting yourself up for failure. Mistake #5: Not Keeping Track of Expenses Will Cost You at Tax Time. One of the biggest mistakes you can make that will cost you at tax time is not keeping track of your expenses and keeping accurate records. Your legitimate deductions will save you a bundle on tax day, but you have to be organized with your receipts. You are currently browsing the archives for the Home Based Business category.